Greek Fire was the secret weapon of the Eastern Roman Emperors. It is said to have been invented by a Syrian Engineer, one Callinicus, a refugee from Maalbek, in the seventh century (673 AD). The "liquid fire" was hurled on to the ships of their enemies from siphons and burst into flames on contact. As it was reputed to be inextinguishable and burned even on water, it caused panic and dread. Its introducation into warfare of its time was comparable in its demoralizing influence to the introducation of nuclear weapons in our time. Both Arab and Greek sources agree that it surpassed all incendiary weapons in destruction. The secret behind the Greek fire was handed down from one emperor to the next for centuries. Rumors about its composition include such chemicals as liquid petroleum, naphtha, burning pitch, sulphur, resin, quicklimeand bitumen, along with some other "secret ingredient". The exact composition, however, remains unknown. 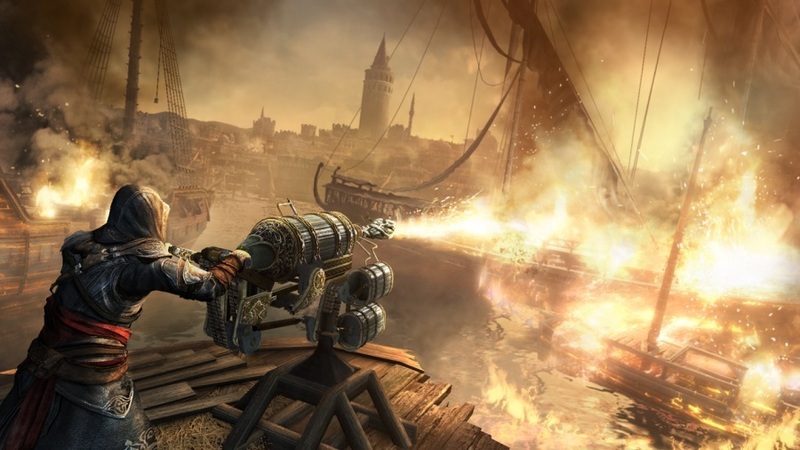 Greek fire launched from tubes mounted on the prows of Greek ships wrought havoc on the Arab fleet attacking Constantinople in 673. 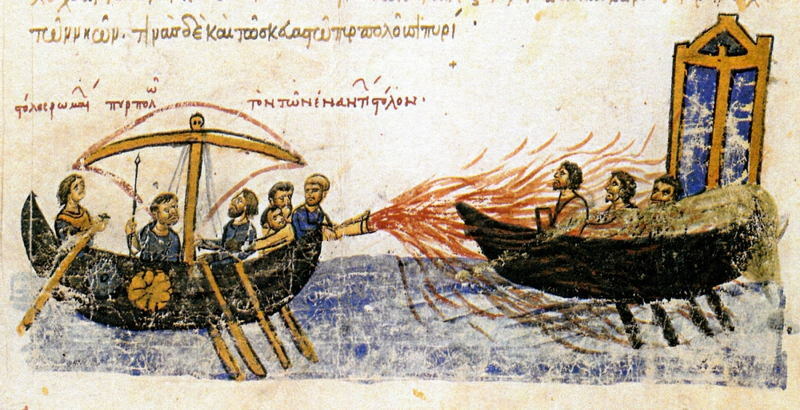 Greek fire was later employed effectively by Leo III the Isaurian against an Arab attack in 717 and by Romanus I Lecapenus against a Russian fleet in the 10th century. Its deadliness in combat, especially at sea, has been cited as a prime reason for the long survival of the Byzantine Empire in the face of many enemies.